You’re ready to go swimming BUT you smell chlorine OR the water looks cloudy. These are two reasons why water chemistry matters. When you work with a swimming pool service contractor from SwimRight Pools in Scottsdale, Arizona you can rest assured the water will be ready for you to jump in and swim whenever you’re ready. When you live in Arizona, we’ll bet you will be in the swimming pool more often than you’re out of the swimming pool. If you’ve lived through one of our triple digit summers you know exactly what we mean! One of the most important steps in swimming pool ownership and pool service is the water chemistry balance. The reason so many pool owners work with a pool contractor is because water chemistry is confusing for the layperson. Water chemistry balancing and pool servicing is certainly something a do it yourselfer can do, but it may take some trial and error (and this can cost you more money than if you hired a pool pro). It’s more comfortable to swim in a pool that has in balance water chemistry. Chemistry that is out of balance can lead to bloodshot eyes and dry, red skin. pH and water acidity lead to water comfort. 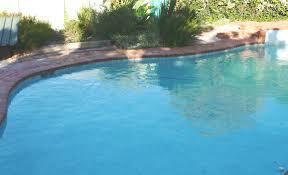 Water chemistry that is out of balance can corrode the pool liner, hand rail and eventhe pool pump. It’s safer to swim in water that has its chemistry balanced. If there are too many chemicals, it will be uncomfortable to swim in. If the chemistry is too low you run the risk of swimming in water that is laced with bacteria and germs. What goes into balanced water chemistry? Its total alkalinity. This is a measure of the alkaline in the water. Total alkalinity and pH work together. If the water has high alkaline it will have high pH. Low alkalinity means low pH. The alkalinity levels should be around 100 parts per million. Water stabilizer helps the water retain chlorine longer. If the stabilizer levels in the water are low, you will need to use more chlorine. If it’s too high you may need to add more water to the pool to counterbalance the chlorine in the water. Keep the ranges at 40 to 100 parts per million. Total dissolved solids measure the dissolved minerals in the water. All water contains dissolved minerals. As the water evaporates, the minerals are left behind and become more and more concentrated. The higher the concentration, the harder it is for the other chemicals in the water to work. High levels of total dissolved solids can leave stains on the pool walls and floor. This is very short list of what to look for when you’re testing your water chemistry. If you have questions or concerns, give us a call and we can pay a service visit.